It’s not difficult to see why large conglomerates want to capitalise on the artisan food sector. The industry witnessed a 15 percent jump in total sales between 2014 and 2016 – significantly higher than the 2.3 percent increase in all food retail sales – reaching $127bn (€103.1bn). The way we consume food is a leading factor in this growing demand for artisanal food products. The trend stems from an increasingly health-conscious society – particularly among Millennials – as well as a growing awareness of the ugly side of mass production. As such, there is a mounting desire for food products that are ‘pure’ and haven’t been tampered with at any stage of production. Nevertheless, the market is becoming saturated with misleading products that claim to be artisanal but, in reality, are attached to large commercial brands. Being an artisan food producer is an increasingly popular occupation, with white-collar workers quitting their jobs to enjoy a better work-life balance as they hone their craft. According to Ursula Hudson, President of Slow Food Germany, the artisanal labour market is now broadening demographically. Speaking about artisanal meat products in particular, Hudson said: “The problem on the traditional side is our butchers haven’t got successors, they find that they don’t want to become butchers. Artisan butchers, for example, source their meat from local farmers, who rear smaller groups of animals to guarantee cruelty-free, high-quality meat. In doing so, the butchers are stimulating the local economy, while also strengthening the homegrown narrative that, at times, large corporations struggle to compete with in the eyes of the consumer. But, despite the uptick in individuals leaving their jobs, it’s not all plain sailing. “If you’ve not run a business before, you could be in for a big surprise,” said Graham Childs, co-founder of the Artisan Food Trail, a support business championing the interests of artisan food producers in the UK. ‘Artisan’, for the purposes of this article, refers to food products made with locally-sourced ingredients, created by experts in small batches to ensure the highest quality. Many products bearing the artisan label claim to be handcrafted by experts, but some labels are intentionally misleading to the consumer. As a result, the term artisan has conflicting definitions. In the 16th century, the Italian artigiano referred to a craftsman or someone who was skilled in a technical craft. Today, however, the term is looser: supermarkets and well-known brands use the word artisan on their labels to implicate authenticity – even when this is not strictly true. For example, Dunkin’ Donuts, a brand famed for its highly processed junk food, launched a line of “artisan bagels” in 2012. Clearly deemed a step too far, the company was met with legal action for false advertising. In Europe, EU regulation 1169 – and Article 26, in particular – states that food labels should be “clear and understandable in order to assist consumers who want to make better-informed food and dietary choices”. However, Slow Food, a not-for-profit organisation that promotes local produce and campaigns for a better system, said this regulation fails to address a food’s real quality on the labels. Another way large conglomerates are pulling the proverbial wool over consumers’ eyes is by buying out small-scale producers. In 2012, it was revealed that artisan teabag company Teapigs was 100 percent owned by Indian international conglomerate Tata, which also owns Tetley. The reaction wasn’t a positive one, with members of the public expressing their shock and prompting discussions of whether artisanal brands should be completely transparent about their business owners. In a not too dissimilar situation, Unilever, the owner of PG Tips and Lipton, acquired Pukka Herbs in September 2017 to strengthen its market presence in the herbal tea market. Originally an exotic, organic herbal tea company based in Bristol in the UK, Pukka now employs a few thousand small-scale farmers across 30 countries. Hudson also sees no problem in a larger company owning artisanal brands, unless the products are somehow changed as a result: “If the company comes in under a big roof, are they free to follow their own values? A prime example is Coca-Cola’s 5by20 initiative, which, among other things, employs women around the world to make artisanal products from repurposed Coca-Cola cans, which are then sold on the company’s website. “They are trying to do good and you need to admire them for that,” said Tanner. If large conglomerates make changes to the method of artisanal production, it can threaten local activity. 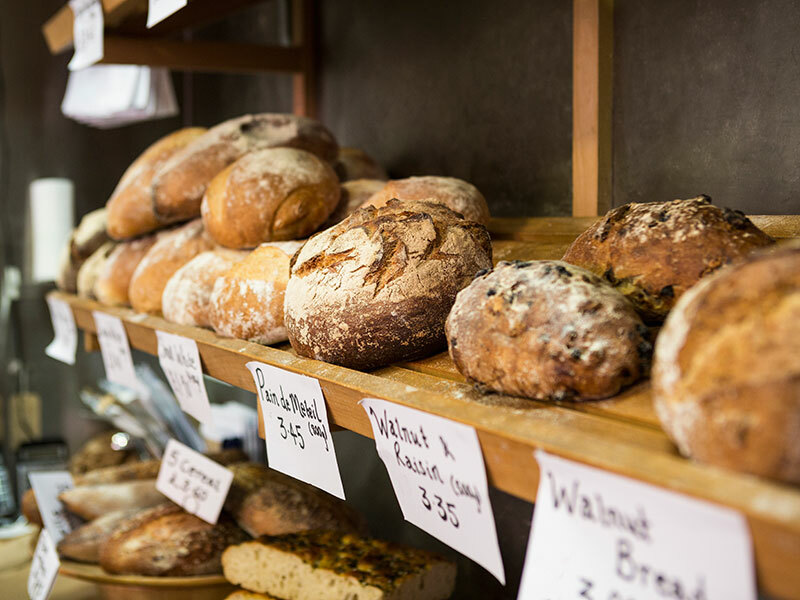 Artisanal bakers who previously used local grain mills to produce their bread, for example, may use flour shipped from miles away once bigger firms have bought them out. Not only does this change the identity of the brand somewhat, it can also put local grain mills out of business. The actual product also faces meddling from a buyout, as changes made to the ingredients list can negate the point of an artisanal product, which is to remain pure. Further, when such takeovers are not well publicised, there could be a backlash against artisanal brands if consumers view them as being deceptive in any way. Yet, while some may argue the artisanal industry is now losing its purity, big companies often present artisanal food producers with greater opportunities for funding and entry into a wider marketplace. When products are left unchanged, the backing of industry leaders can be a good thing, as more consumers have access to less manufactured food products. The original idea of artisanal food producers was to be little fish in a big pond, but it now seems they, too, have bigger fish to fry.